A new study has found that elementary school children with reduced cognitive skills for planning and self-restraint are more likely to show increased aggression in middle childhood. Children with lower executive function — a measure of cognitive skills that allow a person to achieve goals by controlling their behavior — were more likely to show physical, relational, and reactive aggression in later years, but not proactive aggression, according to the study. 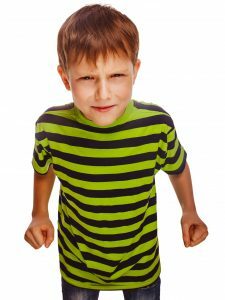 The increased aggression, which was observed in both boys and girls, may be partly due to an increased tendency for anger in these children, researchers noted. The findings suggest that helping children to increase their executive function could reduce their aggression, researchers add. In the new study, researchers at the University of Potsdam in Germany investigated the relationship between childhood executive function and different types of aggression to see if deficits in executive function could predict aggressive behavior in later years. The research team assessed German primary school children between the ages of six and 11 at three time points: the start of the study, about a year later, and around three years later. The children completed behavioral tasks to reveal different aspects of their executive function, including memory, planning abilities, and self-restraint, researchers reported. The researchers also asked the children’s teachers to record their tendency for different types of aggression. These included physical aggression, relational aggression (where a child might socially exclude someone or threaten to end a friendship), reactive aggression (where a child reacts aggressively to provocation), and proactive aggression (where a child is aggressive in “cold blood” without being provoked). Finally, the children’s parents completed a survey detailing how easily the children tended to get angry. Rohlf and her colleagues also found that an increased tendency for anger in children with reduced executive function may partly explain their increased aggression in later years. Furthermore, deficits in executive function were related to increased reactive aggression over time, but not proactive aggression, she noted. The research team also found that executive function had similar effects on aggression in girls and boys. “We found that although aggressive behavior was more common among boys, the links between executive function, anger, and aggression seem to be similar for girls and boys,” said Rohlf. The results suggest that training programs that help children increase their executive function and manage their anger could reduce their aggression. The researchers said they plan to conduct further studies to see if their results also apply to children with serious levels of aggression. The study was published in the open-access journal Frontiers in Behavioral Neuroscience.